1891 Indian Head cents are very common coins from the numismatic perspective and are frequently encountered in mixed-date rolls and bags. And while they’re virtually impossible to locate in circulation, they are found with ease at nearly any coin shop. 1891 pennies are often bought by coin collectors who are assembling type sets and numismatists who are putting together a series collection of Indian Head pennies. 1891 Indian Head cents are often purchased by individuals outside the numismatic community but who want an inexpensive example of this classic American coin. 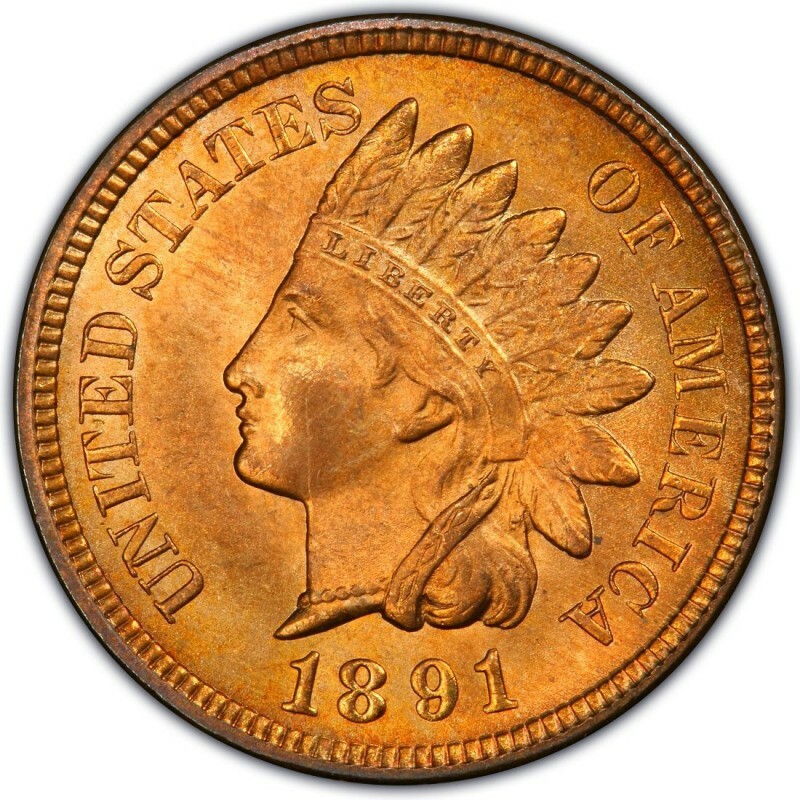 1891 Indian Head cents were made in huge quantities. 47,070,000 were made as business strikes, while 2,350 proofs were produced. The business strikes sell for $2.25 in a grade of Good-4, while the much scarcer choice proof specimens sell for $2,150. 1891 Indian Head pennies were designed by James B. Longacre, who served as the Chief Engraver of the United States Mint from 1844 until his passing in 1869. 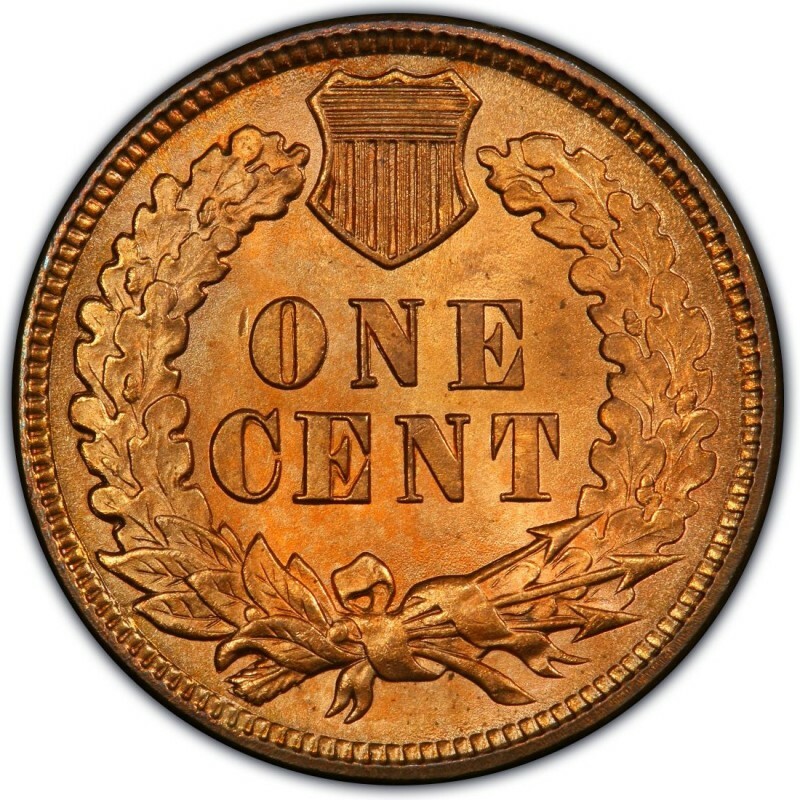 Not only did he gain fame for designing the Indian Head penny, which debuted in 1859, but he also was the creative mind behind the two-cent piece. In 1864, that became the first U.S. coin to bear the motto IN GOD WE TRUST. I have a 1891 Indian head pennie in good (ok?) condition. How can I determine if it is one of the rare ones that are worth money? Hi. I got an 1891 penny today. The word America is missing the A and m. And the word "of "is missing.its in good condition. Is it worth anything? Hi I have an 1891 penny that has one cent printed backwards (yes, in reverse, tnec eno) on the back. Does that make it more valuable? Thanks!